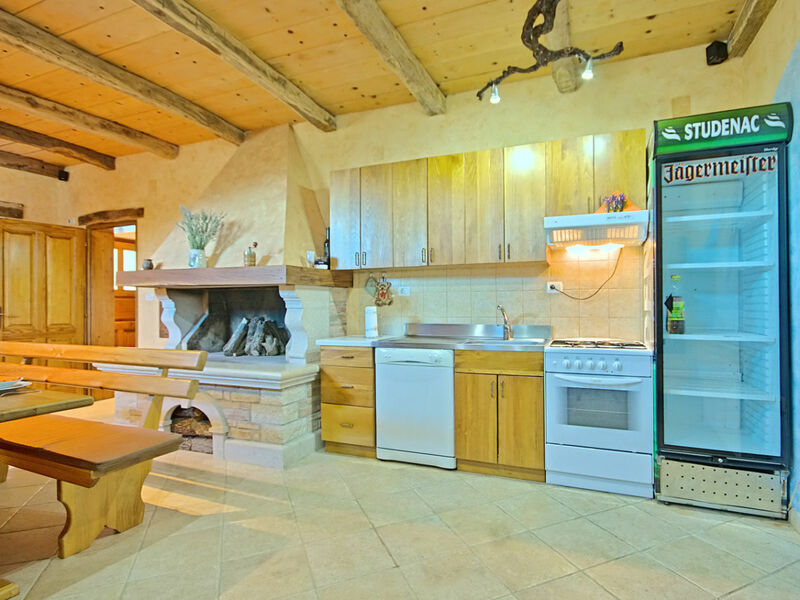 Holiday home for 6-8 persons, with a total living area of 150 sqm on three floors. 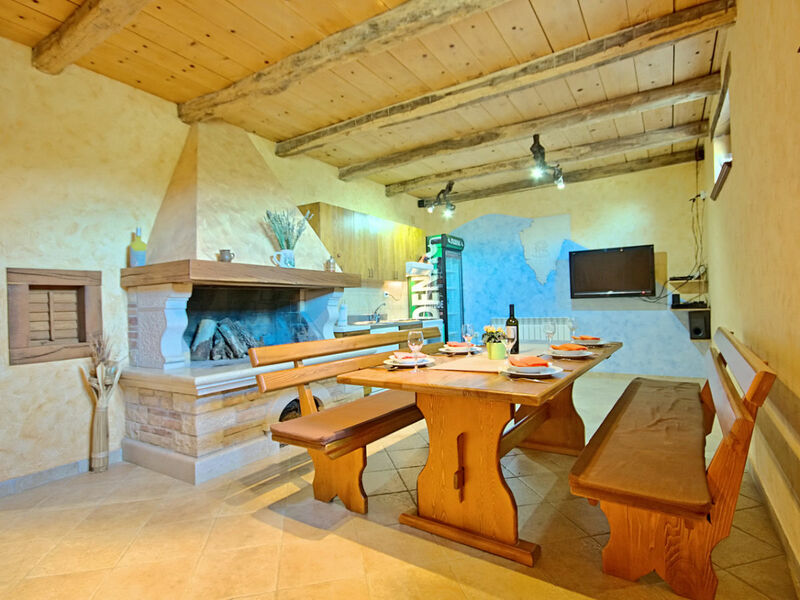 In the basement floor there is a tavern with fireplace, dining table, table tennis and separate toilet. 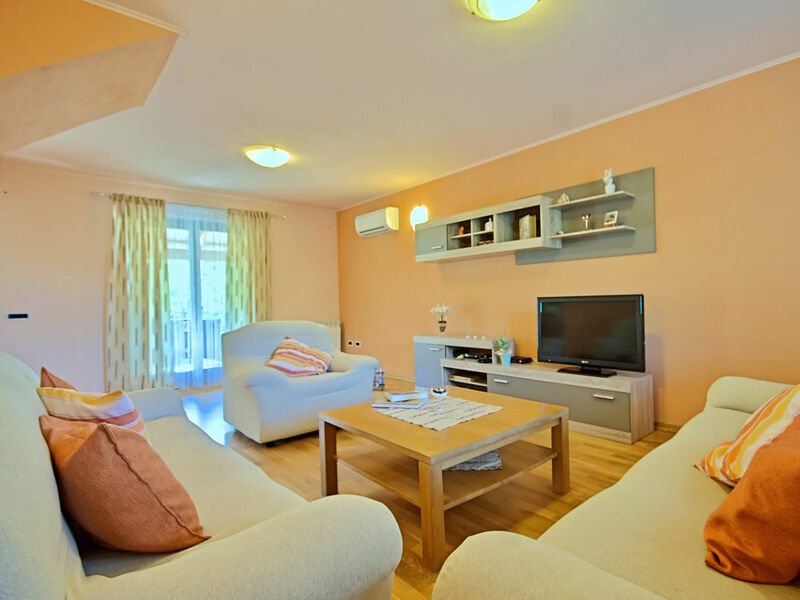 On the ground floor there is fully equipped kitchen, dining area, air-conditioned living room with exit to two terraces, double bedroom, shower/toilet, and room with a bath and washing machine. 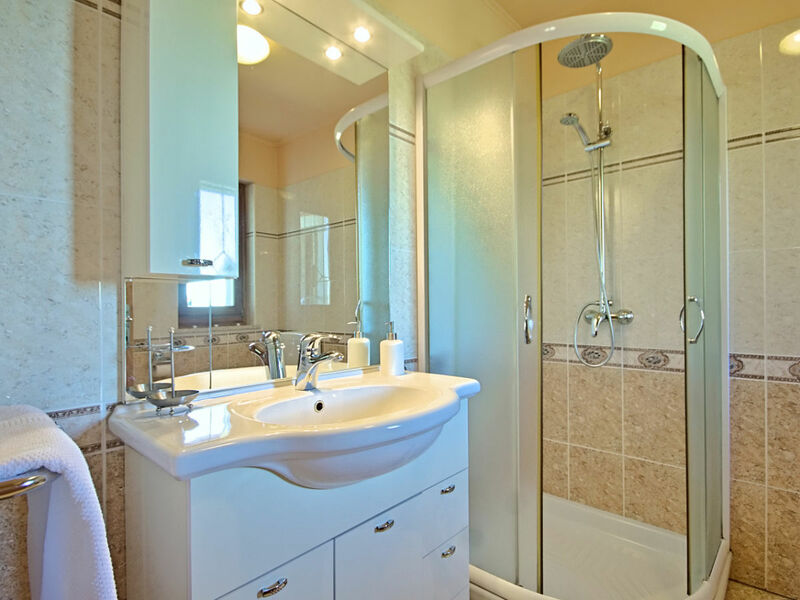 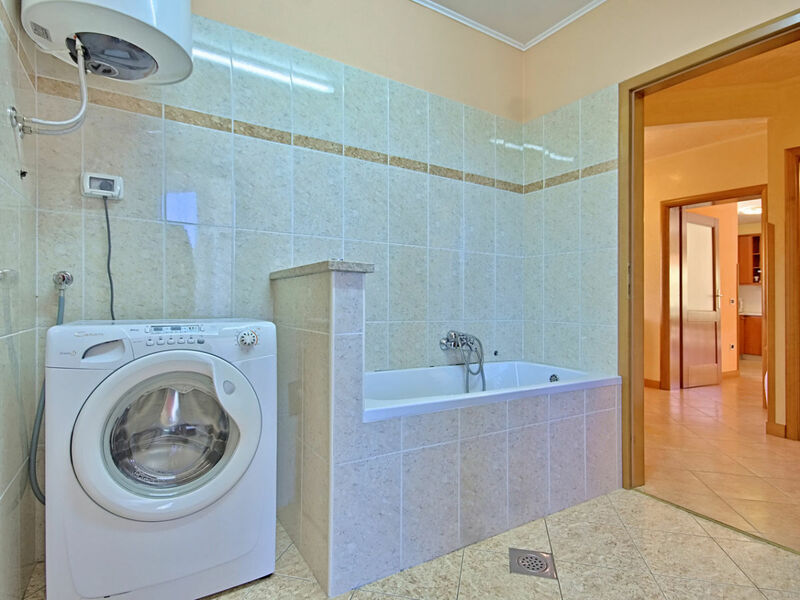 On the first floor there are two double bedrooms, of which one with two single beds, shower/toilet. 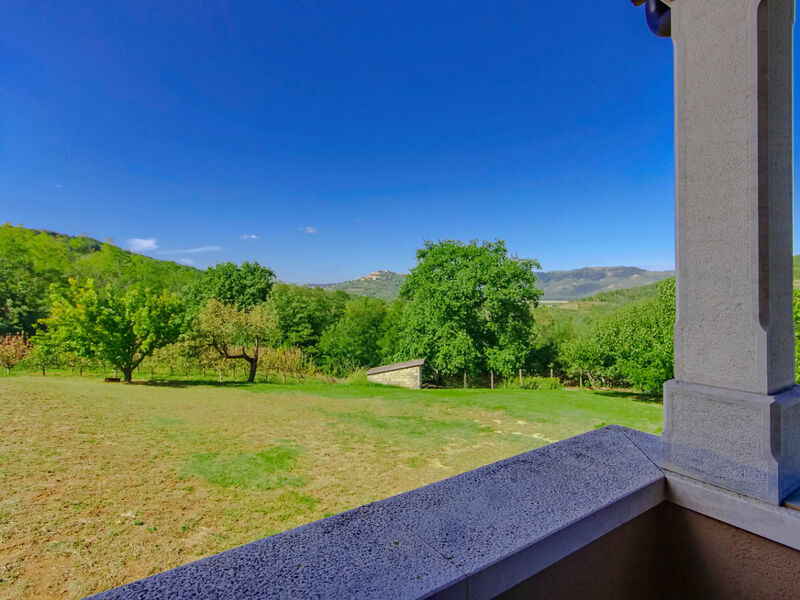 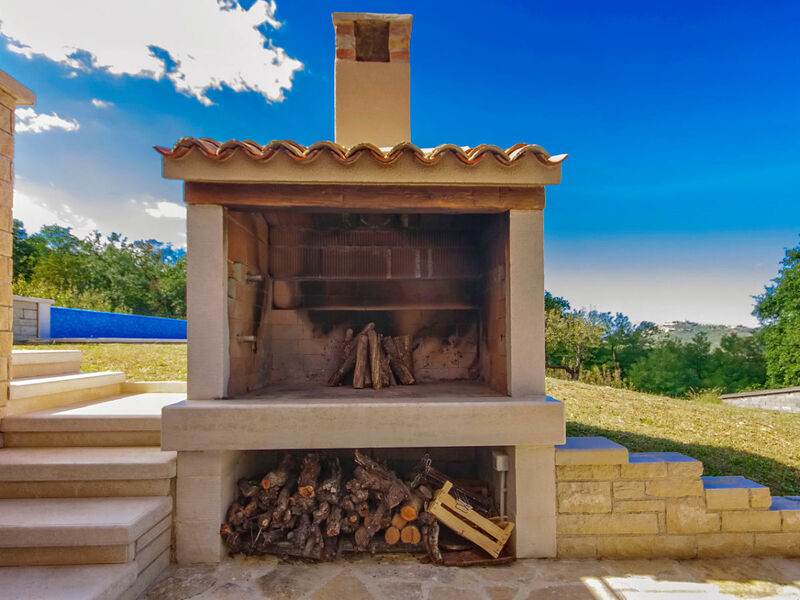 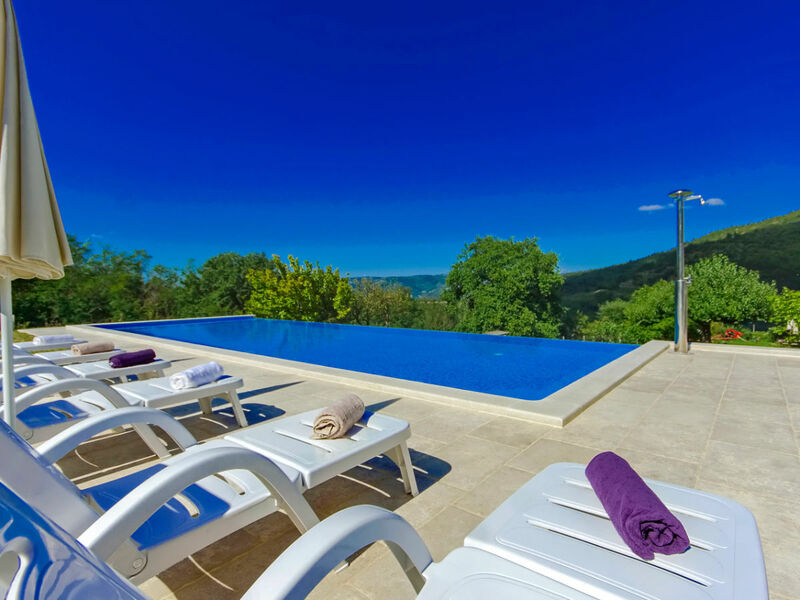 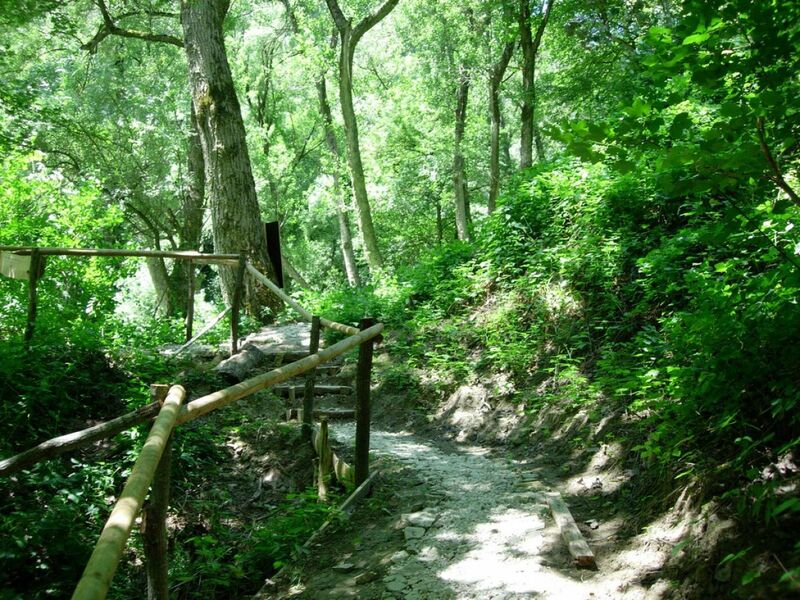 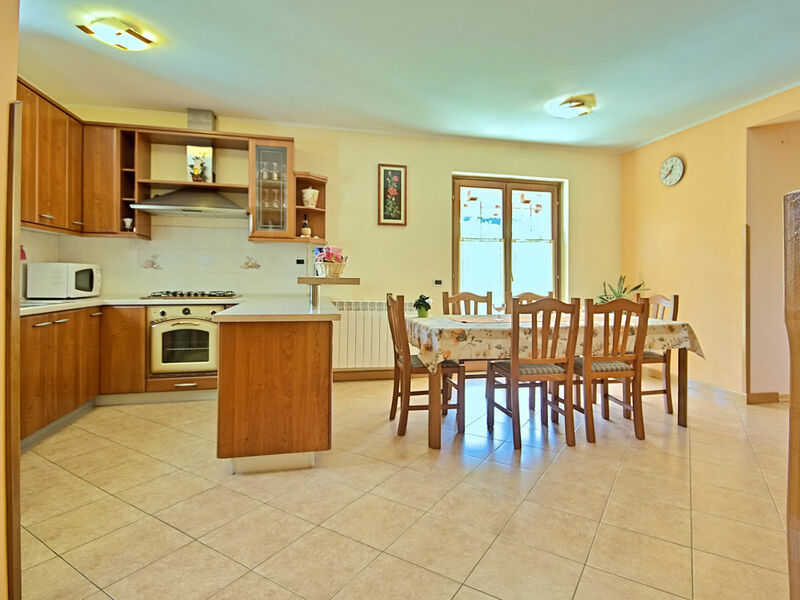 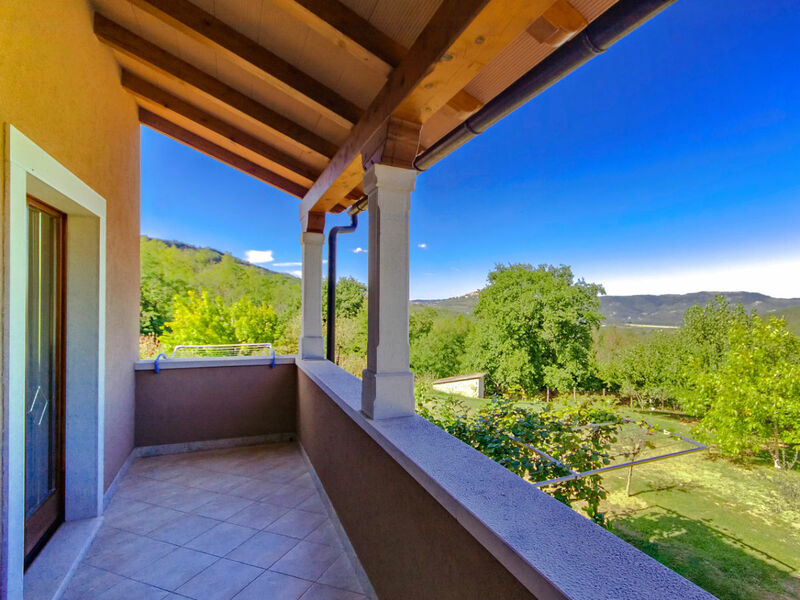 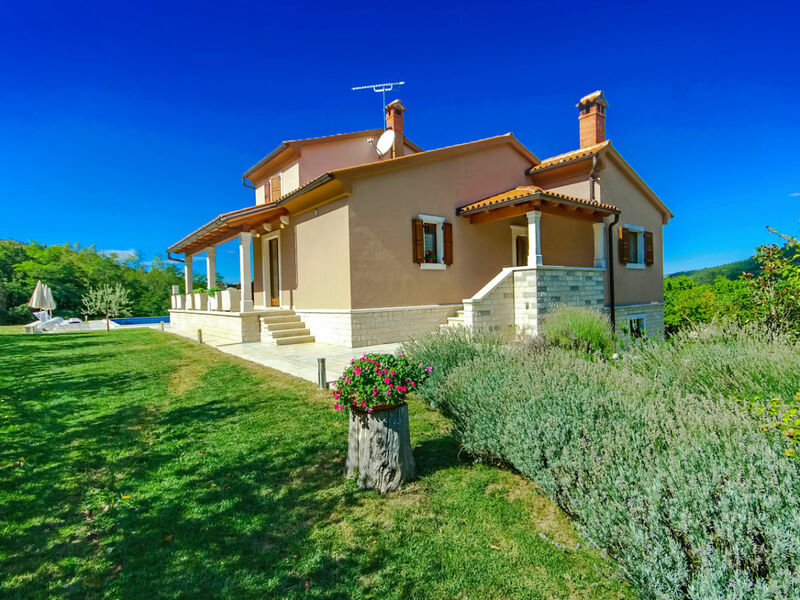 Villa Alba is located in the small village Valenti near Kaldir, distant 7 km from Motovun. 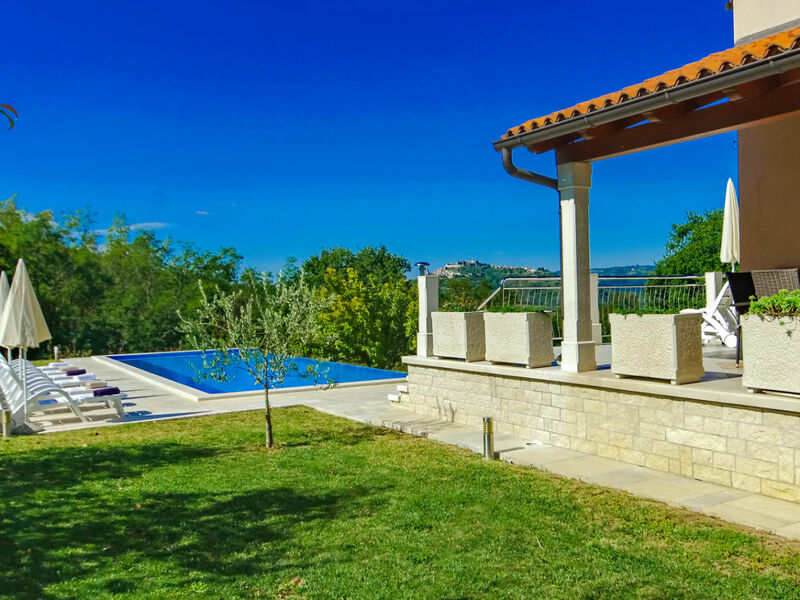 The house was built in 2004, renovated in 2014 and from some parts of the house and infinity pool offers breathtaking view to lovely Motovun. 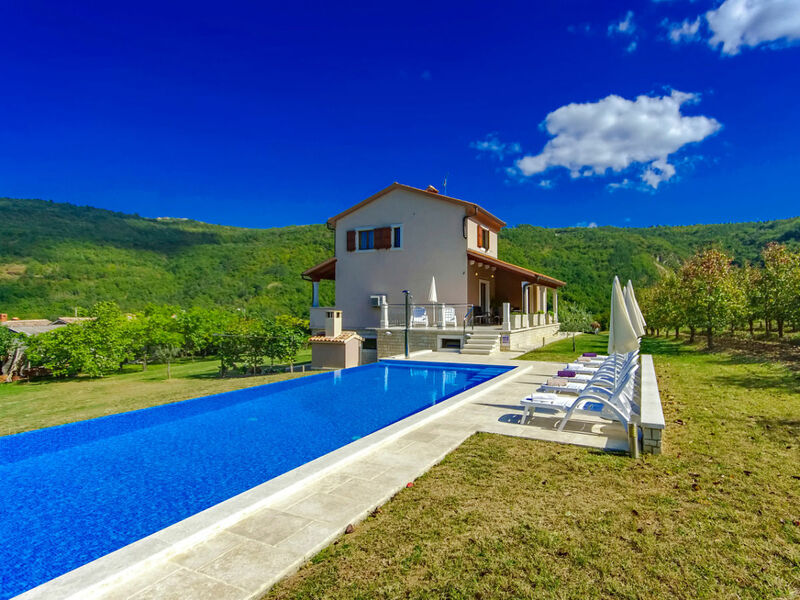 On its property of 3000 sqm offers Villa Alba to its guests infinity pool of 60 sqm, sun beds and parasols, covered terrace with sitting furniture, barbecue and 4 parking spaces. 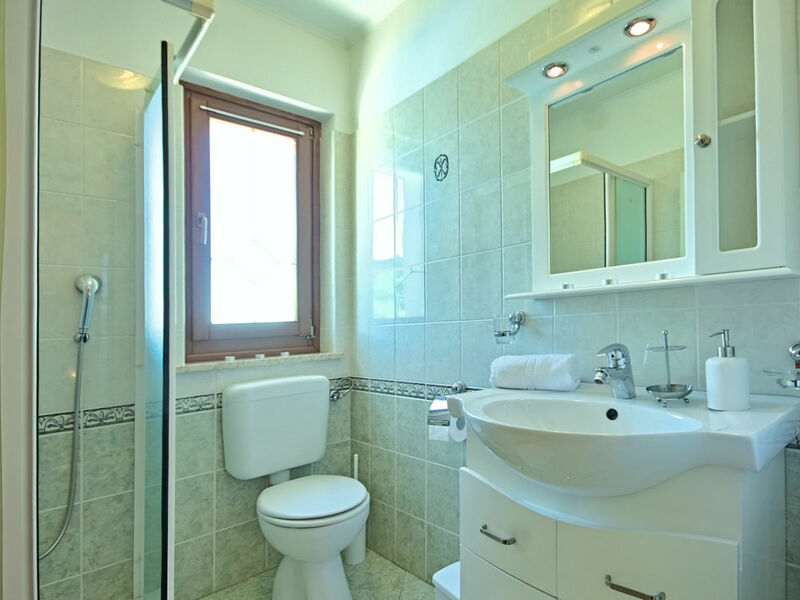 VAT and tourist tax are included in the price.